Weekends are for family. Do you agree? Ever since Angel came into our lives, we always try to spend time on weekends together. There are countless places we can hang out as a family, including theme parks, swimming pools, museums, zoos, carnivals and indoor playgrounds. However, all these come at a cost and sometimes, all you want is a place where you can relax and have fun without having to burn your pockets. Having lived for years in a peaceful town like Karlskrona taught me that some of the best things in life are for free. Today, I'm sharing with you three of our favourite family hangouts. We love to hang out in the neighbourhood parks where you are surrounded by lush greenery and blooming flowers. My girl loves animals and insects and she could spend hours just observing ladybugs and chasing after butterflies. It's also a great way to let Angel get close to nature and learn about Mother Earth. Her favourite pastime at the park has to be blowing dandelions and one plant she has recently learnt about in Singapore is the mimosa pudica (touch-me-not). Don't we all love to see how they close their leaves when we were a child? The ducks were our good friends back in Karlskrona and I bet they were delighted to see us every time. We would go for barbeques and picnics by the beach and feeding these animals was a must and a fun activity for the whole family. It really doesn't have to take a lot of effort or money to keep Angel entertained. All you need is sand, water and a willingness to get wet and muddy with her. Which by the way, are all for free at the beach. Moving on to more commercialised places, another of our favourite hangouts is the supermarket. Since we cooked nearly every day when we were overseas, it is of no surprise that we had to go grocery shopping every week. One thing we especially loved about going to supermarkets in Karlskrona was for the chance to let Angel push along her very own mini trolley! A great way for her to learn to be independent, responsible and of course it was a thrill for her every single time! We also love to browse through the array of fresh foods, toys and household appliances. It doesn't mean that we have to end up buying something on every trip, just window shopping, looking at the vibrant displays and teaching Angel about everyday items makes the experience so much fun! If you are like me and love to go shopping at the supermarket, you'll be thrilled to know that A Happy Mum is now giving away NTUC FairPrice vouchers worth S$30! 1) Like A Happy Mum on Facebook if you have not done so. 2) Sign up for free with U Family between the period 19-25 Nov 2012. If you are already a member, please use a family member's details instead as this giveaway is only for new sign-ups. 3) Leave a comment below in this post telling me your favourite family hangout + the email address that you used to sign up in 2) for verification. If you do not wish to post your email address here, drop me a separate email at summer@ahappymum.com. All you need is to complete the 3 easy steps above to qualify! 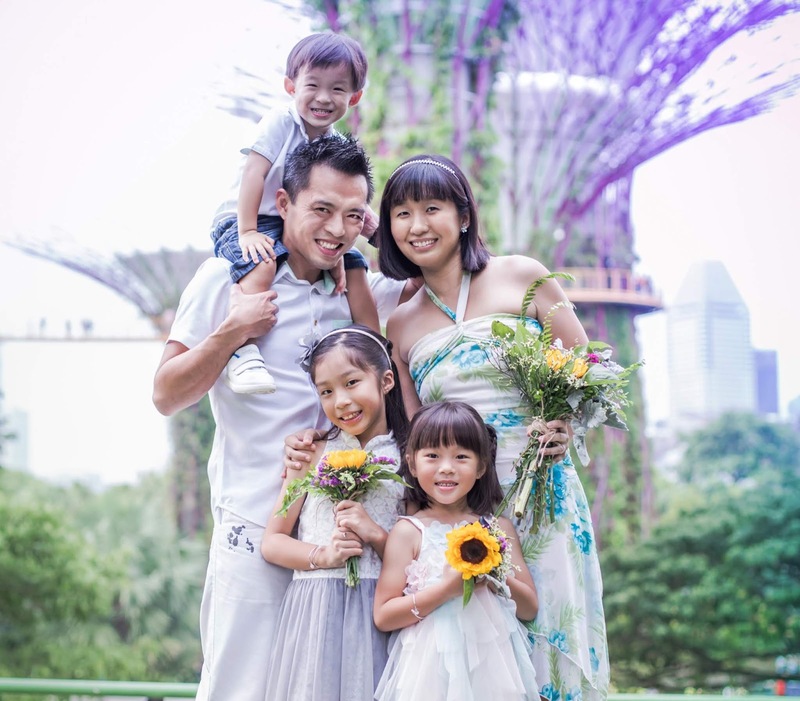 1) This giveaway is open to readers of A Happy Mum who are residing in Singapore only. 2) All prizes will be sent to the winners via registered post via SingPost by end of Nov. This is sponsored and managed by U Family and its representing agency Dice Studio LLP. 3) All decisions made are final and the sponsors reserve the right to change the contents and the terms & conditions of the giveaway without prior notice. This giveaway ends on 25 Nov (Sun) 2359hrs. A winner will be randomly selected and contacted via email. Results will be posted on my Facebook page on 28 Nov.
A second set of S$30 vouchers will be given away if there are over 20 participants! I am an NTUC U Family Blog Champion. 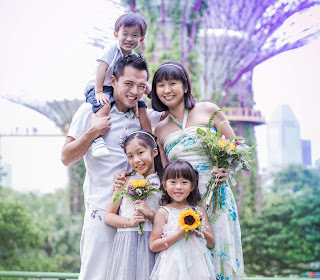 U Family, an initiative by NTUC, is a community that advocates the building of strong and happy families by championing work-life integration for working families. Next up, catch our whole family grooving to the beat at the Mega Dance event on 24 Nov, 7pm, at the Coliseum, Hard Rock Hotel, Singapore! Congratulations to Ling for being the winner of this giveaway! Thanks to those who participated and do stay tuned for more upcoming giveaways! Disclosure: NTUC U Family provided the vouchers for this giveaway. No monetary compensation was received and all opinions are my own. Our current favorite family hangout place is the Sentosa! There are various pretty beaches where we can have have a long enjoyable day there! Yaya I like stepping on mimosa whenever i saw one or all when young. "I can touch the stars the day I became a Mum"
btw, I so love the colorful, nice, cute pix..
We love the playground! Not the indoor type, but the traditional, outdoor type, complete with a sandbox. Not only can we spend time as a family there, the kids are able to exercise and enjoy themselves thoroughly. Hi, our favourite family hangout is the swimming complex, where junior goes for his lessons.